21/09/2011 - A time of 1´41.212, at an average speed of 186,558 km/h during the 11th of the 15 laps completed in the afternoon session was worth the fastest lap of the test for Facu Regalia at Mugello ahead of the seventh and penultimate round of the Italian Formula 3 Championship, scheduled on this track next 2 October. Faster by about 9 tenths than the record lap set last year by Andrea Caldarelli in 1´42.088, at an average speed of 184.958 km/h, the Argentine driving for Team Ghizani managed to be ahead of the Brazilian Victor Guerin (Lucidi Motors) by 7 thousands, with the latter constantly among the fastest drivers of the day. 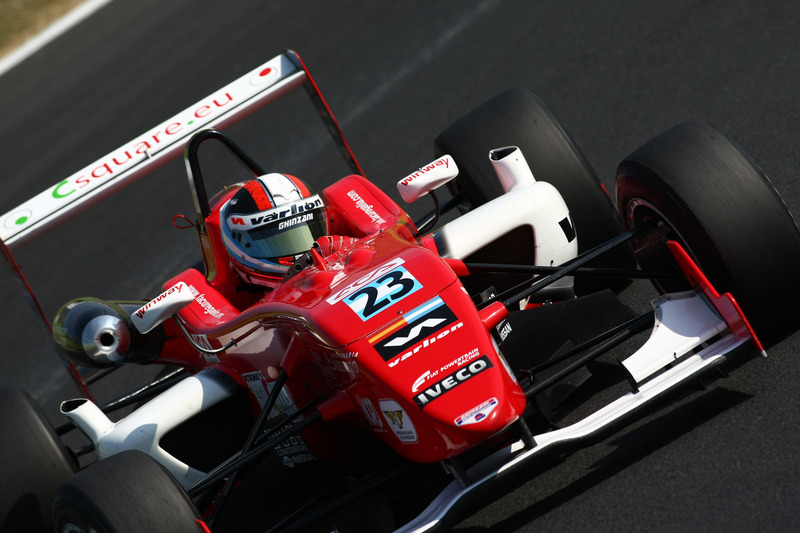 Quickly recovering from the troubled performance of Vallelunga, Eddie Cheever (Lucidi Motors) set the third time thanks to a fastest lap in the morning session that was just 9 thousands shy of Regalia and 7 hundreds of a second faster than Raffaele Marciello's best lap (Prema Powerteam), the absolute fourth performer. The great work done by the team led by Gabriele Lucidi was confirmed by the fact that all three team's drivers were in the top 5 in less than a tenth as Kevin Giovesi set the fifth best time 95 thousands shy of the virtual pole. Half a second from the top of the charts was Michael Lewis in sixth, after being the fastest in the first afternoon session, while Edoardo Liberati (Team Ghinzani) was seventh followed by Maxime Jousse (BVM-Target), Simone Iaquinta (JD Motorsport) and Brandon Maisano (BVM-Target), with the latter completing a top 10 compacted in less than a second. Eleventh was Federico Vecchi (LineRace-CO2) at +1.132, followed by Andrea Roda (Prema Powerteam) and Sergio Campana (BVM-Target) who, as his team mates, did not manage to be among the fastest drivers on track for the whole test.